"We are pleased to invite you to join our next community town hall on April 10, 2019 at 1:00 p.m. EDT (see below for other timezones)." 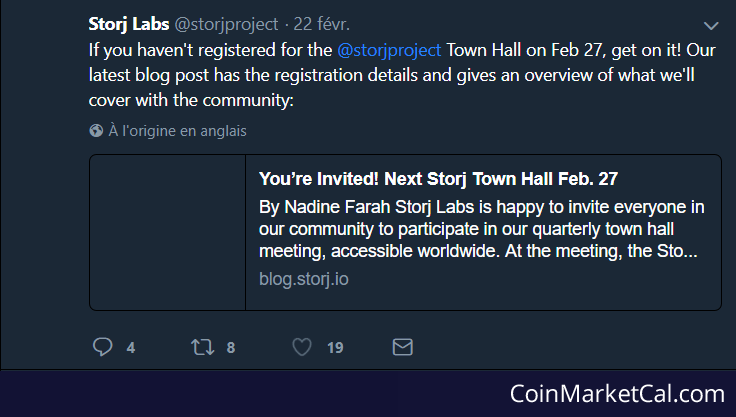 Storj Labs is happy to invite everyone in our community to participate in our quarterly town hall meeting, accessible worldwide. 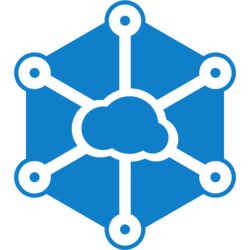 "StorJ are sponsoring at #ethdenver and will be hosting giveaways & workshops." 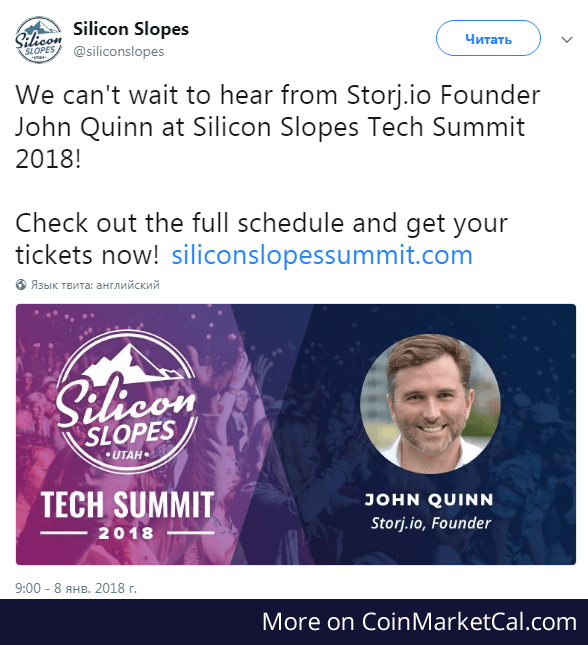 Storj.io Founder John Quinn will be speaking at Silicon Slopes Tech Summit 2018. 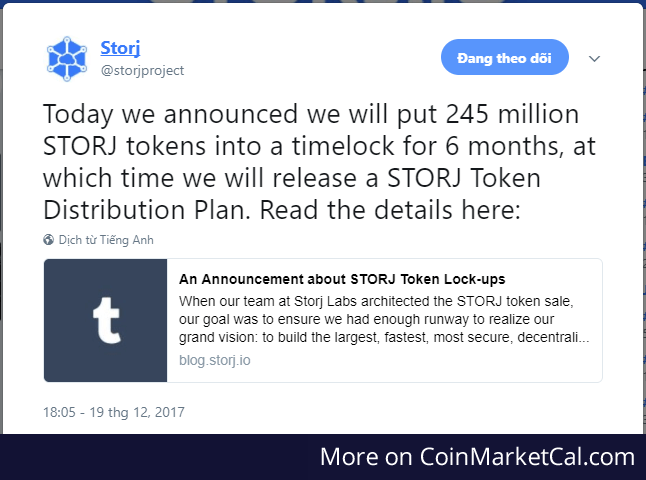 "Today, we are announcing an additional six-month lock-up for the 245 million STORJ tokens in our reserve."